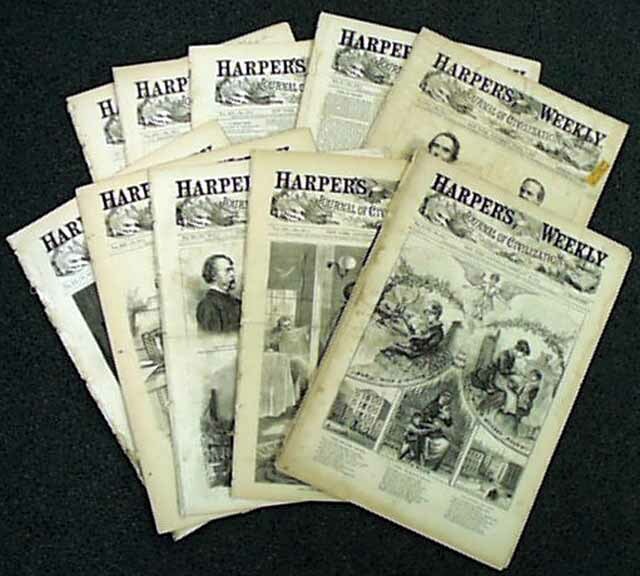 Item # 631673 HARPER'S WEEKLY! Ten 2nd-rate issues from 1866 thru 1890. This is a nice lot of 10 different dates, in 2nd-rate condition, with a variety of prints in each issue for which this paper is so famous. 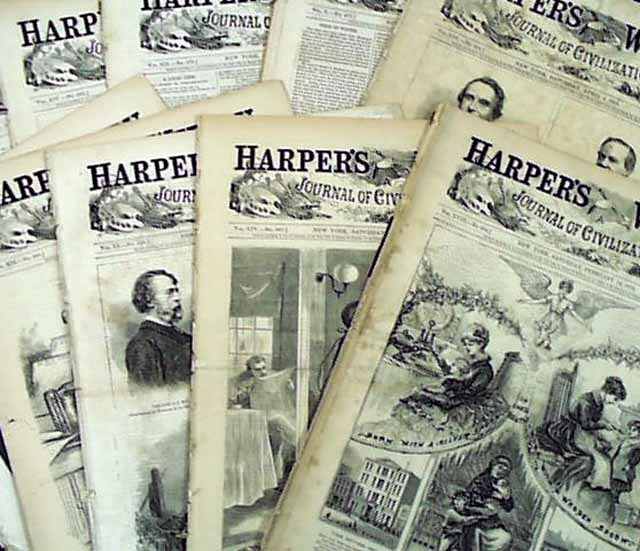 The set contains issues which range from 1866 thru 1890. A great lot for resale, or for someone wishing to begin a collection. The images shown are representative of the look and condition of the issues you will receive, but actual issues vary.